Stage in Formation: I am in my fifth year of religious vows which means I have been with my religious community for what's going on eight years now. I was first a Candidate for one year, a Postulant for another, and then a Novice for two years. Now I am referred to as "Annually Professed" because I have not yet made my final vows (I'll be eligible for those in 2019). 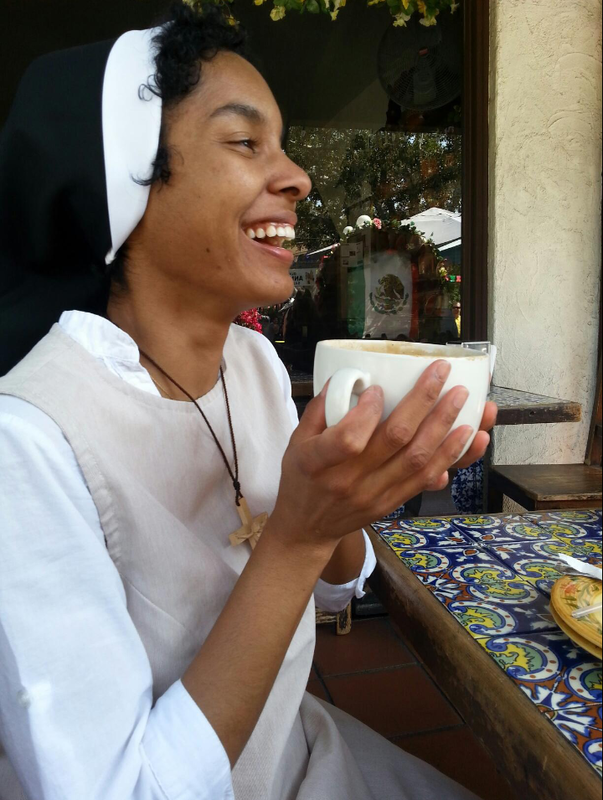 I professed my first vows on August 15th, 2013 and look forward to the continued journey in religious life. Ministry: I lived and taught in sunny Southern California for four years. I was blessed to be at Pomona Catholic All-Girls High School where I taught Spanish, Religion and Dance. Currently I am serving on our vocation team as the outreach minister. It involves a lot of travel and I'm loving it. I also get to help at our after-school program in western Pennsylvania which I now happily call home. Interests/Hobbies: Other than the Holy Trinity, Mary, the Felician Sisters and Saint Francis, I love people, animals, and candy! I also love Spanish, reading, riding my bike, walking, dancing, talking, listening, laughing, making new friends, traveling, watching movies, praying, and writing. Other: At home, my generous mother is taking care of my crazy Husky, Maya, and my antisocial cat, Angel. I have two lovely younger sisters, Johnele and Angelina – Johnele is 28 and has two beautiful children; Angelina is 12, proud to be in 7th grade and doted on by her bigger sisters regularly. I am so grateful you are taking the time to be a part of this journey with me. May your every step be blessed by the Father, Son and Holy Spirit!